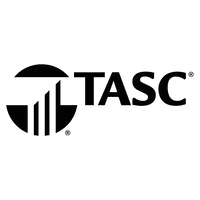 TASC (Total Administrative Services Corporation) is an award-winning nationwide administrator of tax-advantaged health benefits plans offering comprehensive services for Clients, Participants, and Providers and serving companies ranging in size from one employee to thousands! New product development, innovative tools, and outstanding, transparent service keep TASC’s service offerings at the forefront of third-party benefits administration. TASC prides itself on helping business owners and their employees improve their bottom line, bringing them peace of mind, and providing them with fast and accessible service.